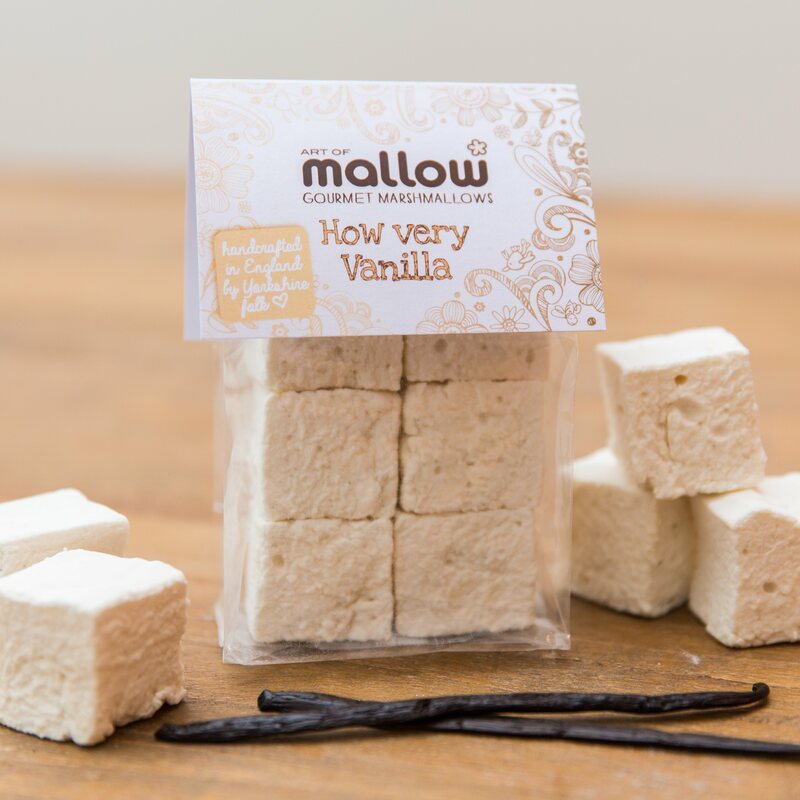 A fluffy and classically flavoured handmade marshmallow with real vanilla. 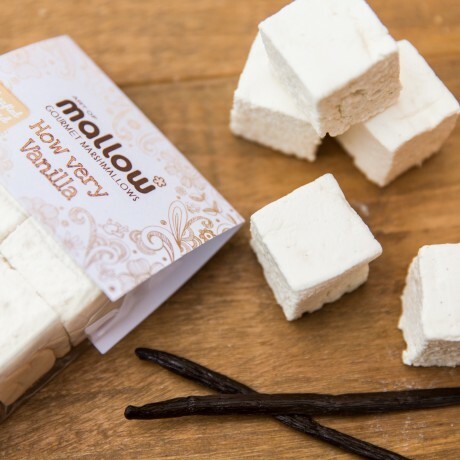 Gorgeous in a hot chocolate, lightly toasted over a flame, or simply eaten out of the bag. Who doesn't love vanilla? 75g bag (containing six generous cubes of handmade marshmallow).